Please Click Map For Directions. 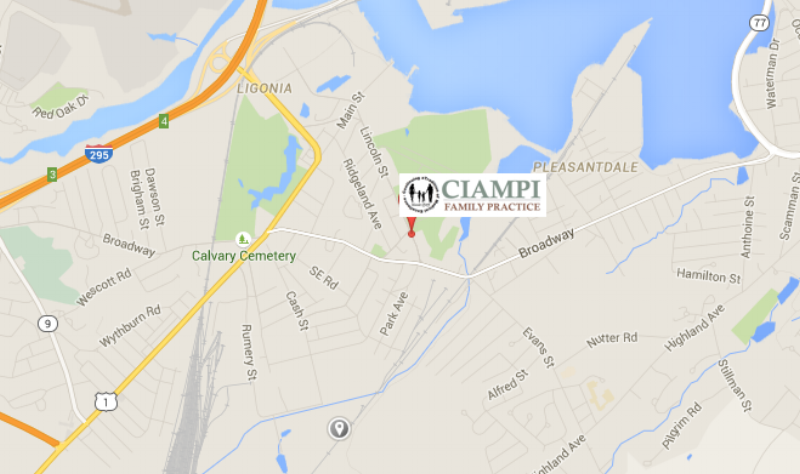 We are conveniently located in South Portland. From The North: Take I-295 South to Exit 4. After the winding off-ramp, take a left toward Lincoln Street/Knightville. Proceed through the four way stop to Lincoln Street. We are located approximately one half mile down the road, on the left, immediately past the Forest City Cemetery. From The South: Take I-95 to Exit 45. Proceed past the toll booth to the end of the Turnpike Approach Road to the end. Take a left onto Main Street (U.S. Route 1). Drive approximately 1 mile, go through Cash Corner (past the Dairy Queen) and stay on Main Street. At the four way stop sign, take a right onto Lincoln Street. We are located approximately one half mile down the road, on the left, immediately past the Forest City Cemetery.